Tac Force POCKET KNIFE with tanto blade. 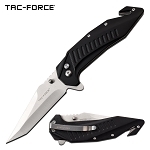 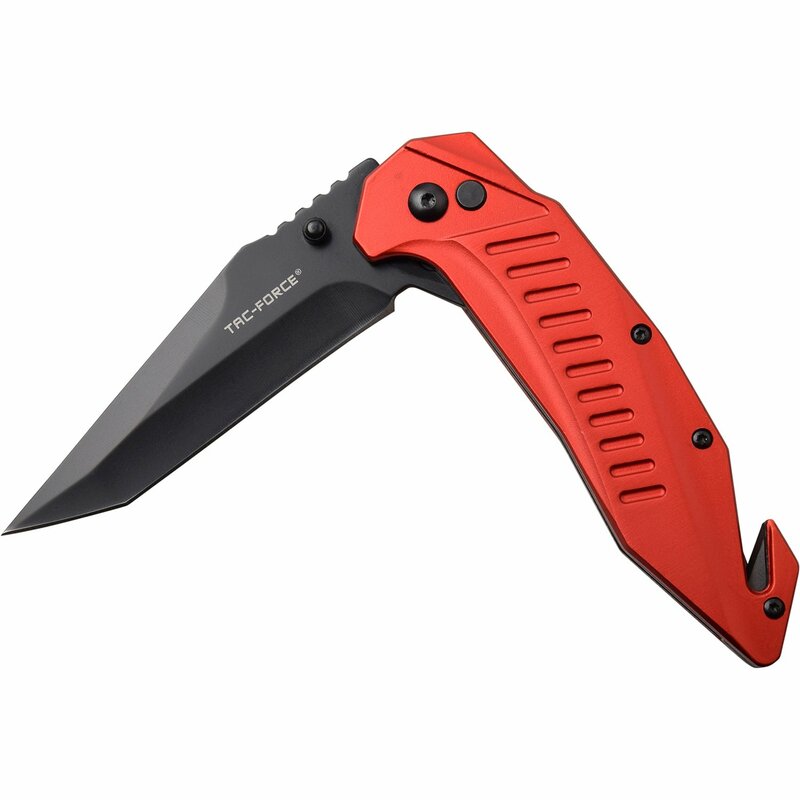 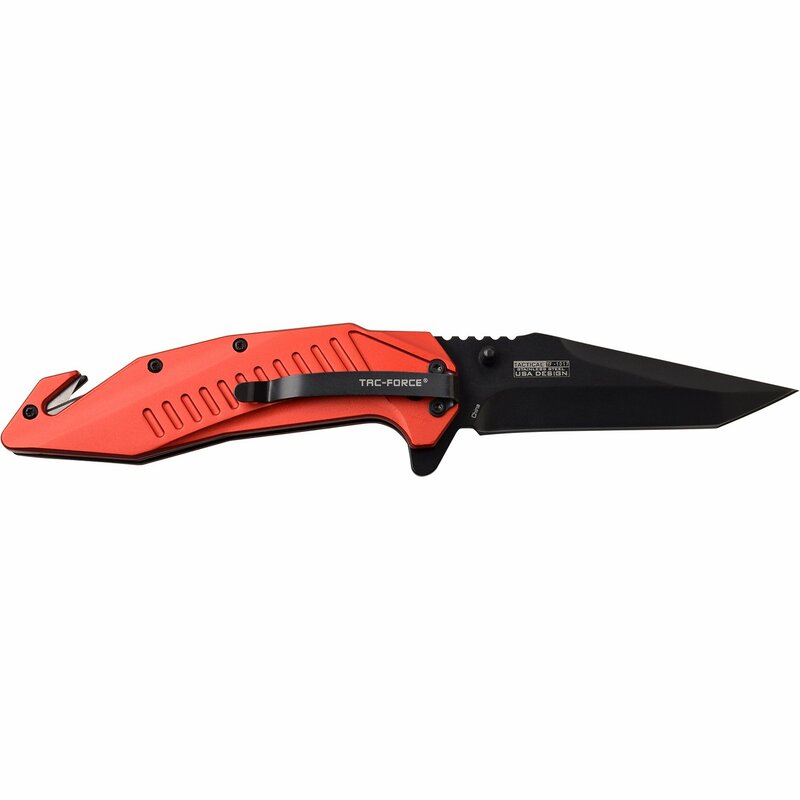 The tactical knife has assisted opening knife mechanism which opens the blade in a fast action. 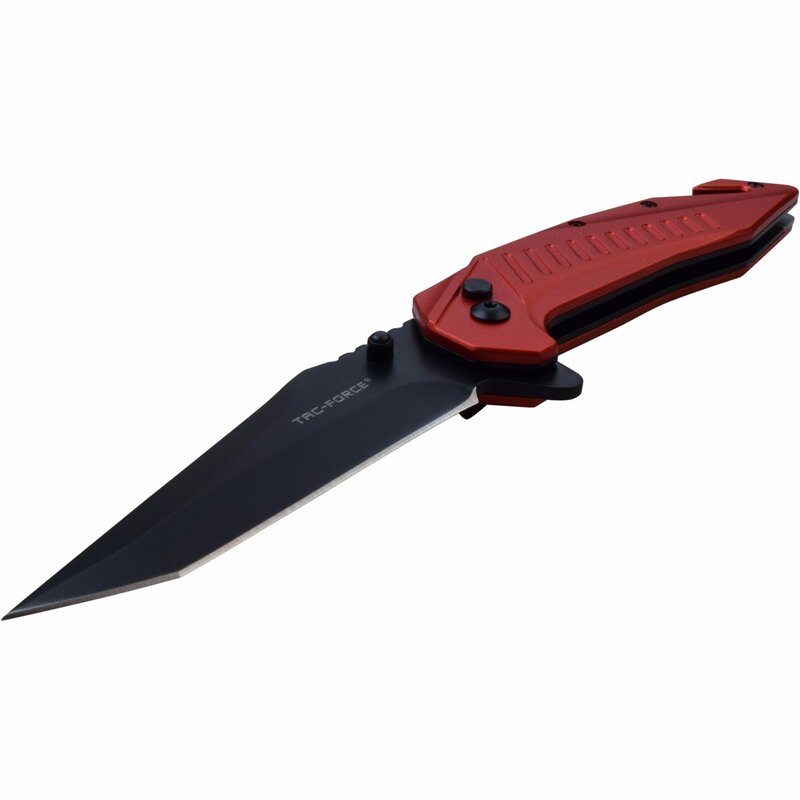 The knife is 8.35 inches open length with blade length of 3.6 inches long. 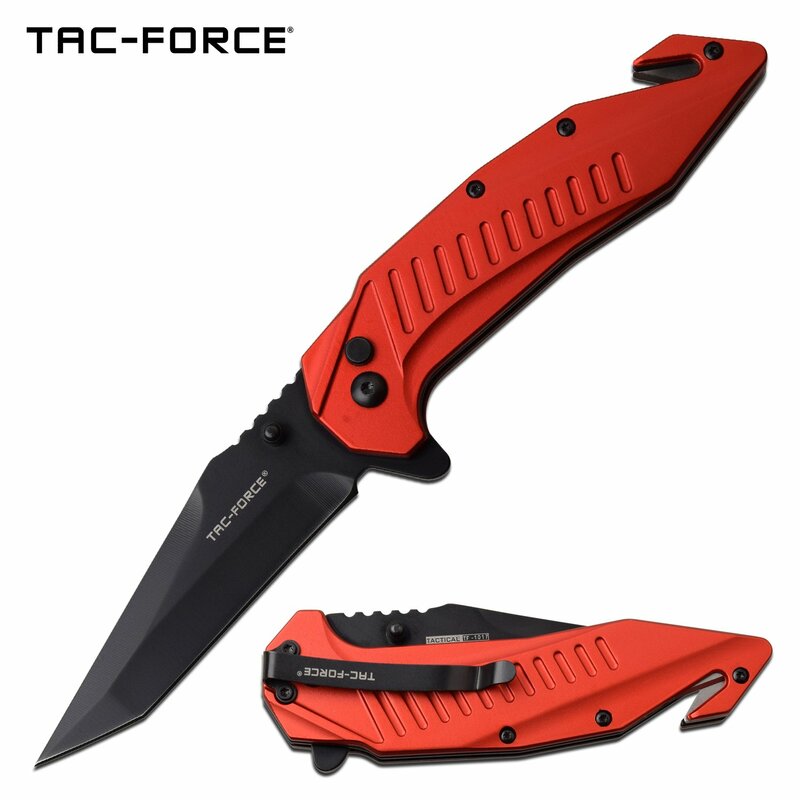 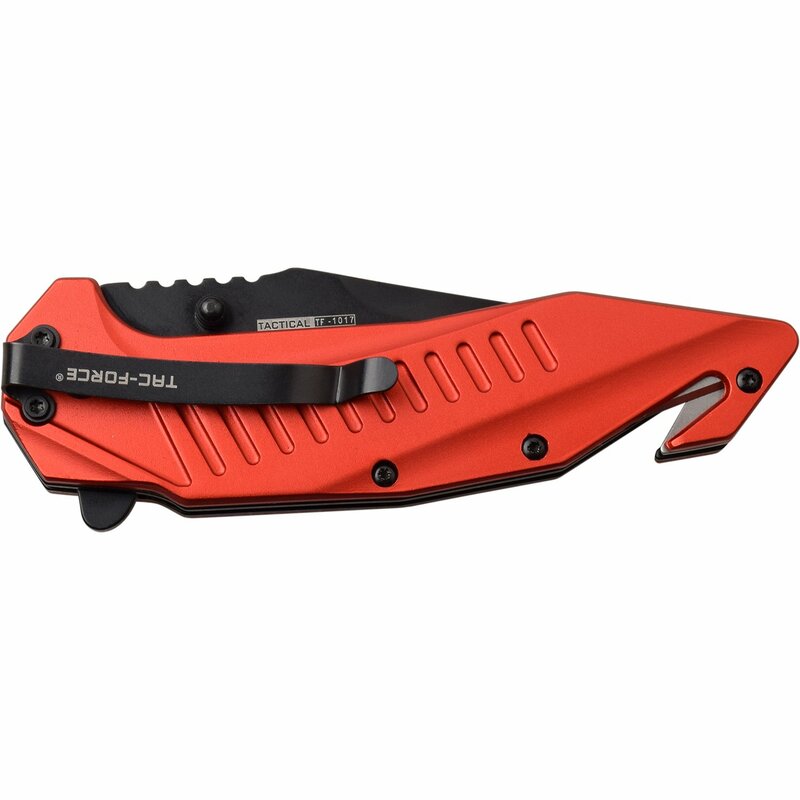 The tactical knife rescue handle has pocket clip, glass breaker and seat belt cutter.